The popular puzzler comes to the Nvidia Shield. Activision's bestselling console franchise, Geometry Wars, has made the leap to mobile. 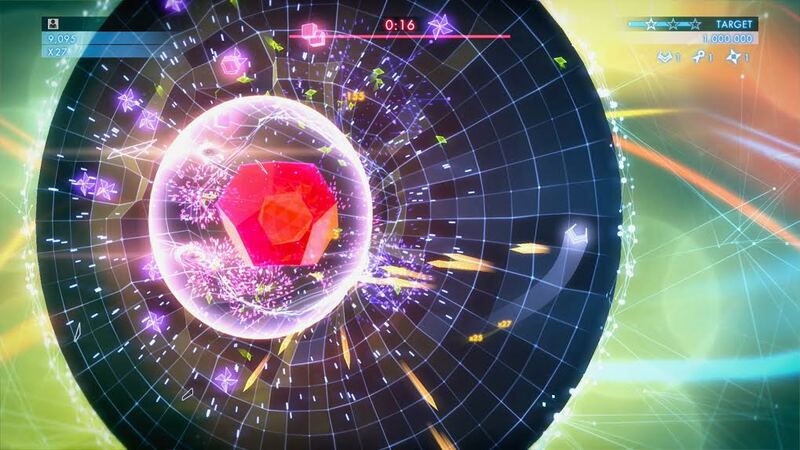 Lucid Games' 2014 console hit, Geometry Wars 3: Dimensions, has been upgraded for Nvidia Shield gamers. In the game, players take control of a maneuverable ship and blast away colorful geometric shapes amid an explosion of visual effects. We sat down and had a talk with Mark Craig, founder and programming director at Lucid Games. What were your goals heading into this game? The number one goal by far was to ensure the game always felt like Geometry Wars even when moving to 3D. It was absolutely critical that no matter what we added we never lost sight of what made the franchise great, which was responsive, precise controls, frantic paced gameplay, and exciting visuals. Can you talk about how you've pushed this franchise forward? Taking the franchise to full 3D is probably the biggest leap forward, but also adding many new gameplay modes, enemy types, and companion drones there is a much deeper Geometry Wars experience than ever before. Can you break down some of the new gameplay options? Just to name a few, Evolved includes far more modes, grid types, and gameplay types than any Geometry Wars title before, as well as new companion drones and super power abilities. How have you developed the gameplay for mobile devices as well as Android controllers? To adapt for mobile devices we needed to ensure the controls were the number one priority. And so, players have a variety options to choose from that best fits their style - from fixed dual sticks, floating sticks, single stick auto-fire, and of course bluetooth controllers. What were some of the biggest challenges you faced in the development process? The biggest challenge was probably to truly keep the classic feel of Geometry Wars while moving to 3D grids instead of 2D. Can you talk about the graphical refinements to the game? There have been a lot, but some of the biggest are lots of new effects, 3D grids, and 1080p support. What are your favorite new features? Co-op mode is definitely the favorite with the team. Was it difficult to balance creating a new high-res game while keeping the nostalgic gameplay elements that made the series so popular? Yes, it was challenging to bring a classic 2D game to 3D without losing what made it great in the first place. But because this was the number one priority, we were determined to make it work. And we feel the final product reflects that. What goes into fine tuning the controls so they are easily accessible but difficult to master? A lot of testing! It's critical that the controls feel super responsive in a game like Geometry Wars, so there was a lot of back and forth to ensure we nailed the feel of the originals. What special features will users have playing on the Nvidia Shield Tablet or TV? With the TV in particular, players will be able to experience local co-op play, which is not available on mobile devices. How does this game take advantage of differentiation and improved performance using Tegra technology? The Tegra technology has allowed us to push the graphical quality beyond what we could do on a typical mobile device. What does this mean for the consumer? Consumers will get to experience the game at 60fps at 1080p resolution. What are your thoughts on the evolution of Android as a platform? We feel that Android has continued to improve in terms of development but also from a developer support standpoint. We see this only continuing to get better and better going into next year. What impact has Tegra X1 technology had on the gameplay experience Shield TV users will have? Tegra X1 has allowed us to provide a consistent 60 frames per second gameplay experience combined with console quality graphics. Players who pre-register can be the first to get look at the "dangerously addictive" mobile title as well as earn a few easy rewards.